Widely considered one of the most prestigious luxury watchmakers in the world, Patek Philippe watches are acclaimed by connoisseurs of the art of horology. Popular models stocked by Blowers include the Aquanaut, Calatrava, and Nautilus. Patek Philippe has created some of the world’s most sought-after timepieces, with The Henry Graves Supercomplication collecting a world-record CHF 17 million at a Sotheby’s auction in 1999. 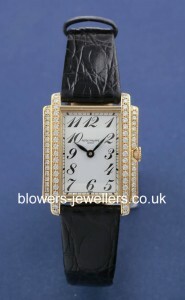 However, not all watches bearing the name Patek Philippe command such feverish attention. In some cases, some used Calatrava and Gondolo models can offer savings over new and may provide an accessible means of entry to the elevated world of Patek ownership. 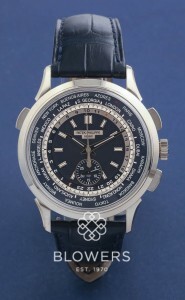 Blowers Jewellers stock a selection of pre-owned Patek Philippe watches, available with 0% finance over 6 months. All our watches are serviced, where required, by our watch care experts to the highest standards. Each watch advertised on our website is physically available at our Kingston upon Hull Boutique, or available to view by appointment at our Mayfair office in London. Contact us today to enquire.